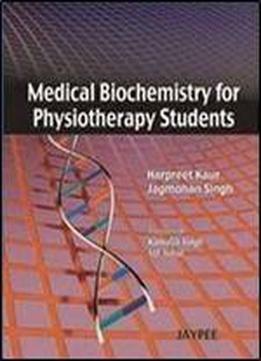 This book Medical Biochemistry for Physiotherapy Students has been designed to cater to the long felt needs of students of physiotherapy. This book is developed in a simple and concise format that is easily and readily understandable. The clear, readable type and bold headings make the text easy to comprehend and follow. This book is adequately illustrated with diagrams and tables to assist the students in readily grasping the essential points. The concepts in this book are presented in a simple and straight-forward style. Illustrations and examples have been frequently used to clarify the topics in detail and are further explained as a concept. This book will provide complete guidance to the students. This book will definitely help the students of Physiotherapy to study the subject of Biochemistry better. This book is also useful for professionals, teachers, doctors, nursing students, students of other allied courses, rehabilitation professionals, other paramedics and public in general.